Author: Morris, Bob Set In . . .
Two years in a Florida federal prison on bogus charges has made former Miami Dophins linebacker, Zack Chasteen, stir crazy. The first step toward getting his life back together is meeting up with his beautiful magazine mogul girlfriend, Barbara, on Harbor Island in the Bahamas. But making it out of Florida proves to be more trouble than a gator with a toothache--and even deadlier. Zack barely leaves the state alive before he discovers Barbara's been kidnapped and her ex-lover, a photographer, murdered. Once again trouble has come knocking on Zack's door. But this time he's fighting back, with the help of a Royal Bahamanian police superintendent, his trusted mystical Taino Indian friend Boggy, and a cast of the most colorful characters ever to step into the warm Bahama sun. 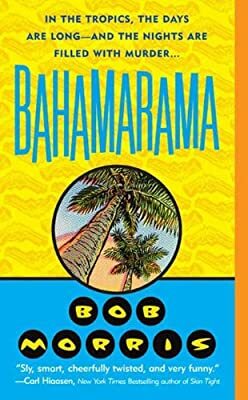 As unpredictable as island trade winds, Bahamarama twists and turns its way to a stunning conclusion and announces the arrival of a writer who is sure to surprise and delight mystery fans for years to come. Bahamarama is a 2005 Edgar Award Nominee for Best First Novel.